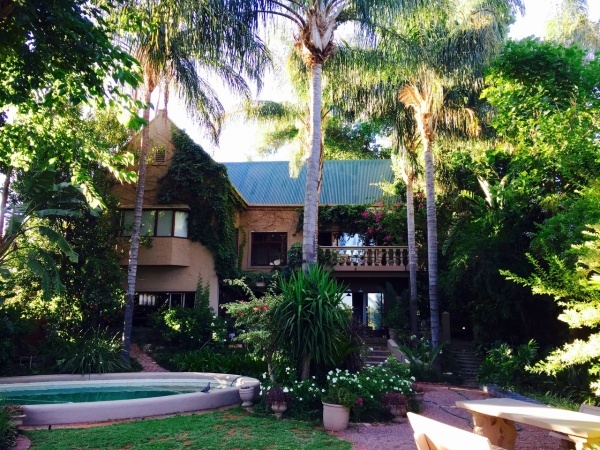 Le Must Residence is a guesthouse of distinction set on the banks of the Orange River in the Kalahari’s foremost town, Upington. A first-rate home away from home, this riverside residence is resplendent with a precious private collection of antiques and heirlooms. The large garden-estate is a sanctuary for tranquil leisure, an oval pool shaded by mature trees, close to the river. Some of the eleven rooms have terrazzo-tiled balconies and some have private entrances. The Presidential Suite overlooks the pool and river. Upington is the ideal stopover en-route to the Kgalagadi Transfrontier Park. There's currently no specials at Le Must Residence. Le Must has conference facilities for 12 delegates.